Our Church is a Unitarian-Universalist Congregation serving Nottingham, NH and surrounding communities since 1875. We are a small, dedicated group of people who believe that everyone has a unique spiritual destiny. It is our mission as a church to support each individual as they pursue their spiritual path. We seek to empower people to live a spiritual life and to treat others with compassion and forgiveness in the interest of justice, equality and democracy. We are an interfaith community. We are a welcoming community offering a spiritual home to people of all faiths, creeds, ethnicities, sexual orientations, or political affiliations. Rev. Craig Werth joined NCC-UU as our pastor in the fall of 2017 after serving as a guest minister while attending the Chaplaincy Institute of Maine (ChIME). 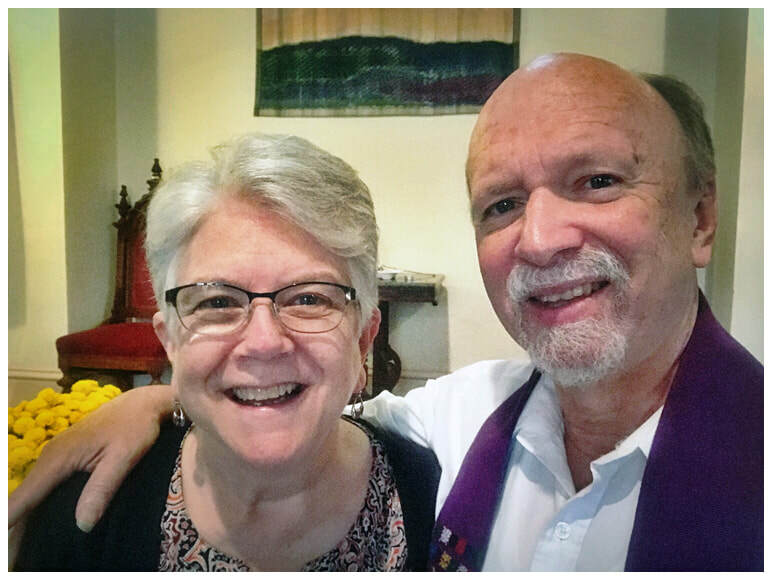 In addition to being an interfaith chaplain, Craig is an accomplished musician and writer-composer, a ChIME faculty member, a hospice team member, and a teaching artist working with survivors of brain injury in Portsmouth. He uses his music and his pet therapy dog, Sadie, in his teaching and hospice work. You can learn more about NCC, Craig, and his wife, Liz by clicking below. We believe deeply in the power of love, compassion, forgiveness, and humility as vehicles for making this a more just and equitable society. We attend this church because these values are evident in every interaction we have with one another and in the community at large. We believe that it is not creedal restrictions that allow this to happen. Rather, we believe that it is the freedom to pursue our own spiritual paths with the support of a strong, loving community that will bring goodness to the world. and to send a message of inclusiveness and acceptance.